Bjørn Lomborg: No, renewables are not taking over the world. | Watts Up With That? Unfortunately, it is also mostly an illusion. This short video shows you why renewables are not likely to take over the world anytime soon. It is also crucial for us to know. The misapprehension that renewables are just about to take over makes many believe that we have all the technologies needed to go to zero CO₂. That we just need more political will. Yet, nothing could be further from the truth. To fix climate change, we need to stop believing in the Easter Bunny and start realizing that without much better, cheaper, green technology, we won’t transition away from fossil fuels. That’s why we need to invest a lot more into green energy R&D. If we can help innovate green energy to become cheaper and better than fossil fuels, *everyone* will switch. Not just rich, well-meaning first-worlders, but also China, India and Africa. The video shows how we’ve spent the last two centuries getting *off* renewable energy. In 1800, most energy came from our own back-breaking work, along with wood (for fire) and draught animals. Wind and water contributed in most places a tiny fraction. The 6% fossil fuel was almost entirely England starting up the industrial revolution with coal. What made us rich over the next two centuries, was cheap and plentiful energy, almost exclusively from fossil fuels. It made it possible for us to have machines do much more of the hard work. By the end of the nineteenth century human labor made up 94 percent of all industrial work in the US. Today, it constitutes just 8 percent. For the past half century, renewable energy has hovered around 13-14%, most of it wood burning in the world’s poorest regions (leading to the world’s leading environmental killer, indoor air pollution). The International Energy Agency estimates that if *everyone* live up to their Paris promises (and other promises), we’ll get to 20% in 2040. Since almost no-one is actually performing on their Paris promises, the business-as-usual scenario of 16.5% is more likely. The UN’s Climate Panel has devised 5 main scenarios (the SSPs), showcasing development over the rest of the century. Even the greenest scenario, the SSP1, will by the end of the century just get 45% of its energy from renewables. To give you a sense of this: the SSP1 expects that by 2100, the average rich person in the world will have to get by on *half* the energy we have today (and this is final energy, not TPES). The average person in the developing world, while getting more energy than today will have to live with never getting to half on what the average rich person gets today. This is a scenario with little development, populated by very modest people and overall a very unrealistic world. Data is in TPES or TPED (but not dramatically different for final energy, with SSP1 in 2100 getting 39% of final energy from fossil fuels and 9% from wood. Bjørn Lomborg seems to not understand the simple fact that replacement for reliable fossil fuels requires reliable power generation. No, I think he understands well. The whole point is that renewable energy has zero chance of supplanting fossil fuels any time soon. That’s what he’s saying. We have the constant drum beat of people telling us how cheap renewable energy has become. If that were even remotely true, then the whole world would switch to renewables immediately. That hasn’t happened. It isn’t going to happen. Lomborg has it exactly right. If renewables were so cheap, Africa, the very place that needs cheap energy, would be covered in them. Instead, there are some 130 coal fired power station being built/planned. In Africa there is a massive power generating station being constructed Lon the escarpment of the Congo river where it drops to the Atlantic. It can generate more power than is currently needed by Europe. Imagine how much power that is. It is probably the largest installation that could be built on the planet. Africa can easily just keep the power and run their continent without and “renewable” energy (seeing as the greens deny that large scale hydro power is renewable). South Africa will of course build nukes, as will Nigeria (when they get rid of the crooks) and possibly Senegal. It will be hard for the alarmists to paint Hansen as a ‘denier’. It wasn’t that hard, and they already did it. Why do people think that solving the renewable energy problem is just a matter more R&D? If it just takes money, let’s go all in on fusion research. And why would we do that before we’ve taken a huge bite out of CO2 emissions by building out our nuclear power generation capability? Look at e-catworld.com for the type of present developments already on the horizon that would likely make the entire issue moot. However, cutting back on CO2 increases from fossil fuel burning would lead to the CO2 level dropping back to lower levels over time, and that is a problem (the greening of the Earth would reverse). If the e-cat or BrLP come up to expectations, they may be needed to cook carbonate rocks to keep the CO2 level up as well as supply the power. Like most of these ideas e-cat will be stillborn, much like fusion will probably also be stillborn if we ever get there. For the very simple reason that there is enormous amounts of money to be made by corrupt businesses and politicians from conventional and renewables energy generation, which would all be swept away by new energy sources. We all delight in speculating that conventional nuclear energy is being undermined by the greens, which up to a point it is, but more importantly, it’s not being supported by the big money investing in fossil fuels. Why would they abandon a nice little earner like fossil fuels when they will earn virtually nothing from state controlled nuclear power? How many jobs would be lost globally, and how much profit lost, if someone turned up tomorrow with a fusion reactor on the back of a truck that could power a city? Do our politicians believe in Catastrophic Climate Change? Of course they don’t, other than it gives some of them leverage to fulfil their own plans for personal wealth creation (witness one John Gummer) or the socialist agenda. If British politicians believed in sea level rise alone they wouldn’t be spending £5bn (likely to be £10bn judging by our track record for large projects) on refurbishing the Palace of Westminster (our houses of Parliament) which sits on the banks of the river Thames, mere feet away from high tide level induced by the English Channel. Yet we have the ruinously expensive Climate Change Act imposed on the British public which subsidises wasteful, but highly profitable, renewables schemes. The aforementioned John Gummer, a prominent politician of his day with considerable influence on British politicians, owns an energy consultancy firm which is accused of receiving over £1m of payments from businesses which might benefit from his political influence and represents an undeclared conflict of interest. Where would Mr Gummer get his income from if we all had our own ‘Mr. Fusion’ powering our homes and transport? The greens are a convenient excuse for politicians and business not to invest in nuclear energy otherwise they would have been steam rollered long before now. You may very well be right that there’s a lot of corrupt politicians who will fight to stop fusion or other groundbreaking innovations. But they’re not the only players on the field. The US Navy really needs something with the energy profile of compact fusion. They’re not going to care about the money to be made. They care about lasers and railguns and they’ve already committed to building the next fleet around those technologies. There’s plenty of steam power available on carriers already with the current generation of reactors to use for electrical generation. They can run the entire ship off just one reactor with plenty to spare on the control rods. What’s at a premium is the space to install more turbine generators if/when needed. Andrea Rossi is a hack, and “cold fusion” in general is pseudo science of the same tier as perpetual motion machines. It has never been demonstrated to work, and the findings of the supposed inventors have never been reliably reproduced. Lomborg is right about the need to invest more in energy technology R&D, including in the field of fusion. Just not the kind of technology that stands somewhere between homeopathy and ufology. Never say never. It is entirely possible that we will find ways to transmute elements at will. Perhaps in the future engineers will manufacture custom materials by assembling the atoms with novel nuclei. People are clever. What we think is clever, is the stone age to those living after 10,000 years of ever-advancing civilization. It’s interesting to me that in1900 an association of physicists in the US announced that heavier than air flight is impossible and those scientists and engineers who think the contrary should be pitied for their weakness of intellect . I recently read David McCullough’s “The Wright Brothers.” It has a fascinating account of how an official at the Smithsonian (don’t remember his name off hand) tried to undercut the reports coming out of Kitty Hawk. Meanwhile, while his own efforts at heavier than air flight were a spectacular failure, he tried to minimize their fundamental flaws as human (pilot) error and other excuses. Sorry to say, as long as humans are involved, there will always be corruption in science. The best near term solution is the Gen 4 nuclear fission reactors now under development. Fuel is plentiful, they are inherently safe (not just in fatality prevention, but in actually staying operational without catastrophically costly engineering failures), and they are relatively simple and cheap to build and operate. Build these reactors, and carbon emissions becomes a moot issue, with no constraints on economic development. If fusion power ever becomes reality, that could potentially be better yet. Because most of them have never done any real R&D. They abandoned the hard sciences at the earliest possible opportunity in their educational careers, because it was too hard. They think the answers are easy because they don’t even begin to understand the questions. I’ve had more than one electric car enthusiast tell me that the battery makers could develop the perfect battery for electric cars if they wanted to. According to many of them, the battery makers are holding back new batteries because they have so much money invested in equipment to make lead/acid batteries. Companies invest in R&D expecting it, overall, to generate a profit. Produce a product or improve a product that people want or need. So why does big Government invest so much in “Climate Change” research grants? Its profit isn’t measured in dollars and cents. It want’s to be Bigger Government. thank you. I am tired of the “all we need is more money” excuse. Renewables have had more than enough money and yet have demonstrated they just don’t work. There is no safe, lightweight, compact, cheap and safe 1000 mile chemical cell battery that “they” are hiding. Nor was any 100 MPG Pogue carburetor hidden away in 1975. The same physical laws in effect, and somehow the same conspiracy theories. Well, because that’s the way it seems to be. 1) Perovskite photovoltaics: If they can be commercialized, they have the potential for “roll-to-roll” production of photovoltaics, potentially with conversion efficiencies at or even above the almost-unbelievable value of 30 percent. The main problem now is very low life expectancy. 2) Solid-state batteries: These have the possibility of significantly improving electric vehicle batteries, by boosting capacity, reducing charging times, and increasing cycle life. They could potentially do “double duty” as EV batteries, and storage batteries to support the electrical grid (i.e., the same battery moves the car and also provides electrical energy to the grid, or takes it from the grid when solar/wind sources are providing “too much” electricity to the grid). Because nuclear power has been proven to be ridiculously expensive in the United States and most other western countries. But clean , cheap and abundant is exactly the benefits of wind and solar that are claimed by proponents of those technologies by such as our own dear Griff . So wind and solar are either a disaster according to the environmentalists, or to save face they must claim that it might be clean and abundant, but actually it will be so expensive that use of it will be severely restricted to those of the highest income. Unless of course Amory Lovins was talking rubbish. Amory Lovins built a super efficient house, supposedly zero energy, but he is on the grid at night and when the wind doesn’t blow. I believe his house is actually owned by the Rocky Mountain Institute, which he founded ~ think tax-writeoff, since it has his office in it. Super-insulated and super expensive. You can donate. Rifkin desperately wants doom, any doom, so he can feel superior. Ehrlich is still desperately seeking a prediction of his that occurs in reality. He’s bombed every prediction. snicker. Ha! Hahaha! Ha! Hahaha! Lovins displays an absolute conviction that man would only uses energy for evil and he fears the unknown. Basically, Lovins also desires to see mankind’s doom, any doom. Thanks Linda, even with AOC’s prediction of doom in 11 years, ten months and a few days, your list of eco-fascist fantasies is absurd to the point of humorous. In years past, people with such convictions and beliefs in mankind’s imminent doom were medicated, straitjacketed or forced to live as reclusive hermits. Tesla’s brilliance was astonishing and he brought cheap efficient energy to the masses. So many of mankind’s other attempts at energy production are faint shadows by comparison, like wind and solar. “That’s why we need to invest a lot more into green energy R&D.”? What exactly does he consider Green Energy? Does Nuclear count? We have three ways of lowering our dependence on fossil fuels, without de-industrializing. 1. Invent MUCH better, cheaper, energy dense batteries – it’s energy storage that prevents wider-spread adoption of wind and solar power. Oh, and cost, and damage to the environment, etc. 2. Develop economical Fusion Power (not going to happen in the next 50 years, probably never). I just do not see how one can economically produce a sustainable fusion reaction and extract significantly more energy than goes into it, short of using gravity – oh, like the Sun! 3. Develop cheaper standardized 3rd or 4th generation Nuclear Reactors and learn how to recycle the waste, burying only the 3% to 5% we cannot reuse. The only one of these choices that can be done RIGHT NOW without the waving of hands for a miracle, is #3. All it takes is the political will. Since there is no political will, how can ANYONE take AGW seriously? If there was a crisis looming over us, don’t you think scientists (you know, really smart people?) would realize the simple reality laid out above and push to develop Nuclear Power? But there is no crisis, only agenda, so there is no push, no political will…only people acting silly and saying ridiculous stuff. One of the recurring irritations for me in all these exhortations is the liberal use of “we”. There is nothing stopping individuals investing in ‘green’ energy R&D right now. “We” need to “invest”… usually means tax money taken from productive individuals and industries is handed to some green-energy-from-magic-dust company with flashy sales literature. No thanks. Robert of Texas – You put it well, but I think your #1 is not really an option. ie, only #2 and #3 are legit. That’s because “the SSP1 expects that by 2100, the average rich person in the world will have to get by on *half* the energy we have today”. That is so unacceptable it’s not funny. If we go down that path then the world will disintegrate into massive armed conflict long before 2100. We (the world’s people) have to keep fossil fuel usage growing until there is a replacement and, as you say, the only candidate for that on the horizon is nuclear power. “will have to get by on *half* the energy we have today”. There are a couple of ways to think of this. I’ve read the average mpg of 1950s cars was about 16 mpg. My current car, a 2016 Subaru Crosstrek, can get about 32 on a good day. Further, it is a better car. will continue adding — just need some time. I wonder what the energy use of a 1950s era 60w bulb was? Hope this helps people see the light. A 1950’s car could carry 6 people in comfort or 8 when squeezed in. The Subaru crosstrek can carry three people in comfort or five squeezed in. Relative efficiency is much the same. Except, for most of the miles driven in 1950 or today, the number of passengers is 1 or 2. So the efficiency gains are real, as with a modern house versus a 1950’s house. Even so, the average person on the US uses more energy than their counterpart in 1950. Make of that what you will, but IMHO predicting the future is a fools game. So yeah, it’s not a matter of just making some efficiency gains here and there. Our electric consumption per capita is much higher now than in the 1950’s. And the devices cannot be made that much more energy efficient. The serious gains were made in the 80’s and 90’s. FYI, heat pumps don’t work well in winter much north of Southern Indiana. Suggesting not using gas, wood or oil for heating in Wisconsin or Michigan will get you laughed at. *Ground* source heat pumps work about the same everywhere. Obviously somewhat better if you live on a volcano than on permafrost. *Air* source heat pumps are a dubious choice anywhere it snows, and impractical where the ground freezes in winter. A 1950s era 60 watt bulb? Sixty watts, probably printed right on the bulb. It put out less *visible light* than today’s 7 watt LED of course, but it probably wasn’t turning energy back into matter. Alarmists will have no credibility with me until they embrace nuclear including fuel reprocessing like is done in France. Jimmy Carter took reprocessing off the table when he was president which was a catastrophe. This is yet another thing that President Trump needs to reverse. And open the Yucca Mountain repository like the Federal Government promised, and was required by law, to do. Only number 3 makes any rational sense. We already know how to do it safely. We already know how and have built nuclear breeder reactors that can reprocess spent current nuclear fuels for almost a limitless supply of fissionables and also produce more fissionables at the same time. #1- nobody even has a viable idea for ” MUCH better, cheaper, energy dense batteries”. Chemistry, thermodynamics, and physics all point the other way. Why aren’t batteries more energy dense? First all the power storage occurs in only 10% or so of the battery, the rest is needed to make power storage occur. The cheapest materials are the densest- lead, iron, nickel, others, which make very low density batteries for obvious reasons. Perhaps someone will make a breakthrough on adapting Lithium-Ion batteries to use multiple, 0.1mm plates. That gives up a lot of safety by greatly increasing the amount of lithium used per battery. #2- making a demonstration nuclear fission experiment is still 20-30 yrs. away and has been since the idea was first made. We don’t even know enough to make useful predictions about how they would function as power generators. Exactly, John. But the IPCC and those behind it are clearly anti-capitalist, so if course they are ‘unwilling to let capitalism do its thing’. This whole CAGW thing is very like a real-life version of Ayn Rand’s novel ‘Atlas Shrugged’, where capitalism is slowly strangled by a hidden cabal of deluded moochers who wanted all the benefits of capitalism without putting in the work and carrying the risk themselves, and use unaccountable power to achieve their ends. Unfortunately the book’s ending was rather inconclusive – maybe the author couldn’t figure out how her scenario would end well. Have we made any progress since the 1950’s? “The UN scenarios are without explicit climate policies …”. Without the climate bugaboo none of it makes any sense. As for ‘investing in green energy R&D’ the implicit assumption seems to be that governments can do it, even if it were necessary or possible a laughably forlorn hope. First we need to acknowledge that climate change is not the problem. The problem is fossil fuels are finite resources. Eventually we’ll run out of economically recoverable oil and gas. Same with economically useful anthracitic coal. And brown lignite has more issues than CO2 it generates on combustion. The Left’s real hidden agenda is population control, as in reducing global humanity to < 1 Billion people. And that is where their Green agenda turns into genocide via starvation and disease. That is the truth of the Left and their relative moral system. With relative morals, any means become justified to “save the planet” eco terrorists. They are not any better than the worst of the 20th Century’s many genocides committed by authoritarian socialistic political systems. So once we start talking honestly and drop the lies about why we need to do something for sustainable energy, then it becomes clear that nuclear power is the only viable pathway. The problem is fossil fuels are finite resources. Eventually we’ll run out of economically recoverable oil and gas. I’ve been hearing about ‘Peak Oil’ and how we’re either very close or already there since before I turned 10. Needless to say, I stopped listening clear back in the 90’s. We’ll stop burning Hydrocarbons when something better comes along, that’s the only ‘Peak’ you need to worry about. not just the left, the elites, in general, want Agenda21 to come to pass, even many republican. And even Trump. Need to continue now with fossil fuels because we need more CO2 in the atmosphere. Eventually will evolve to Thorium-based fission which will last for a long time. Then to fusion which will last billions of years. But how do we maintain beneficially elevated levels of CO2 once we have weaned off of fossil fuels? With enough cheap fission energy could we liberate CO2 from limestone etc? We don’t need to be weaned off of fossil fuels anytime soon. Natural gas will last for hundreds of years. By that time we will have learned how to keep CO2 at optimal levels probably at two or three times current levels. However efficient one makes a wind turbine or a solar panel, the turbine still produces no energy when the wind is below about 10 mph or above about 30 mph and the solar panel makes no energy at night and almost none on cloudy days. These devices attempt to exploit very diffuse and erratic sources of energy with all manner of extraordinary costs imposed on distribution systems. Therefore they can never be major sources of electricity regardless of “green energy R&D” to reduce the cost of their fabrication, installation, maintenance and replacement. It just can’t happen. What is needed instead is investment in nuclear energy. It works all the time and it can power the electric world including electric ground transportation for centuries or even millennia or perhaps for ever with breeder reactors. a phrase you might hear more of in the mass media. I like Bjorn, he’s a reasonable guy. I’m just not convinced global warming is a ‘problem’ that even NEEDS to be solved. I have long thought that a canal from the Mississippi River to the desert south west would be a lot better than just letting it flow into the Gulf. The Mississippi at Vicksburg is 200 ft.
Amarillo TX is 3500 feet. We need to figure out how to get water to flow up hill. If we just had more R&D dollars. We’ve been producing nuclear fusion reactions with net gain since 1952 (Ivy Mike, Enewetak Atoll, November 1 1952). That can be scaled down to produced pulsed power. The smallest nuke we ever built, the W-54, was a fission device weighing about 50 pounds and producing 10 tons TNT yield. Using that as a fusion trigger would allow one to produce about 75 tons total yield, or 87 GWhr at the front-end. Even just spreading it out thermally and producing electricity via steam, one could obtain about 35 GWe with 1 pulse per hour. All of the neutron chemistry associated with fast breeders and minor actinide incinerators can be incorporated, with additional energy production. So fusion is not impossible at all, it is just not something that the US will ever do because of its political activists. There is always the blight factor. Hope springs eternal. Oh, I dunno. It seems like a lot of money has already been wasted on it, for all the wrong reasons of course. How about instead we invest money in some new coal plants which will actually help stablize our energy grid, and help lower electricity prices. How about perhaps even some nuclear plants, and yes, R&D on MSRs and that sort of thing, which is where the real energy future lies. “Green energy”? Meh. I don’t think it’s going anywhere. Why can we not have batteries as big as houses? Bigger? As big as a city block? That is what it will take. And when that battery leaks, or needs replacing…? You would have exhausted known cobalt and nickel reserves ten times over before you built enough (about 75 billion tons of lithium ion batteries would be required, assuming energy density of 200 Wh/kg and 15000 TWh storage requirement from that 100% renewable study by Jacobson ). Here ya go. 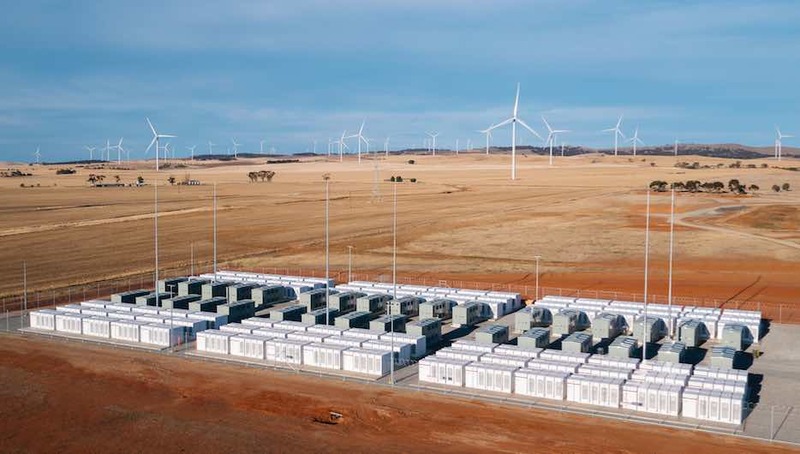 World’s biggest battery in S Australia. Block size. Can power the grid for something like 15 minutes. You’d need almost 100 of these for 24 hrs. Not practical. Actually it isn’t the biggest any more: that’s in Abu Dhabi. but that plant isn’t intended to supply electricity for 24 hours – but only in the case of a grid outage (for frequency response) and to act as a ‘peaker’ plant. Even if you knew how much battery capacity you needed for worst case scenarios (an hour, a day, a week, more), what are you going to charge all these batteries with? When your intermittent power source comes back online, you will need that to take over for the batteries to supply the grid. Just build in some extra capacity you say. OK, how much? 10% will take a long time to charge up the batteries, and you may need them again sooner than that. So double maybe? What if you determine you need a week of battery backup? Can you tolerate waiting for a week to charge them up after a week long outage? The longer outages you plan for, the more over capacity you need, and it may not be a linear relationship depending on your assumptions about the frequency of outages. When you start running the numbers, things get out of control fast. If it is difficult to imagine replacing all power production with intermittent sources plus batteries (because of cost and resource requirements), what about 2, 3, or 4 times that to provide over capacity to charge the batteries? if co2 makes the earth greener, how is removing co2 from the air a green policy? Good graphic. Ad that to the understanding that the terms renewable and non renewable as popularly used mask some important considerations as regards scarcity and availability. Whale oil is a renewable resource. Although solar is a renewable resource, non renewable resources are used in manufacturing solar panels. The so called greens are opposed to nuclear power but are OK with collapsing western society . For the Green Deal to even be printed shows exactly where they are at but it really isn’t about saving the planet at all . The message is … in order for the “progressives ” to save the planet they require unbridled political power . Anyone that doesn’t think like them can have some time out in a nice northern outpost as modeled by those progressive Russians like Stalin . Is there any promise to burning municipal waste for power generation? Seems it would solve two problems by replacing some of the coal and keeping more slowly biodegradable substances out of the ocean. If floating plastic had a value, the cleanup would be attended to by those cashing it in. There are all sorts of problems with burning municipal wastes – some real and some imagined. 2) Sorting waste is difficult, so the current practice of throwing out everything in one (or a few) waste streams makes separating what can be burned very difficult. 3) There are real pollutants in the municipal waste stream like lead, mercury (older batteries and fluorescent bulbs), dioxins (formed when burning plastics), that when burned released nasty stuff into the surrounding area. You can clean up the gases, but its very expensive, and so deriving cheap power from it isn’t realistic. I am still for the idea (I don’t care about the CO2) if done right, but the city will pay for it just like they pay for burying the wastes. I actually prefer recycling, so one way to tackle this is to make certain that plastics that can be recycled are produced, and recycling is supported and promoted by the cities (not just mandated). Coloring coding plastics would help for example, because color can be easily sorted by a machine. Trying to clean plastics out of the ocean is just not possible except for a tiny amount that is still large and intact. We have to stop throwing plastics into the water stream, and within 20 to 40 years the plastics will mostly break down into small particles and begin buried (along beaches, or inside of fish that die and they get buried, etc. ), or decompose. Most of the plastics in the oceans are coming from a stretch of coastline from China to Southeast Asia, so they have to take steps for anything meaningful to happen. Thanks Robert, I used to read about the promises of fluidized-bed combustion systems that incorporated additives to capture the bad stuff so it wouldn’t be airborne and recover metals, etc. I guess that’s in the same waiting room with cold fusion. It notes,”Kemper is the most expensive power plant ever built, based on its generating capacity”. I’m not sure Ivanpah Solar does not beat it, but for sure it was a lot of money at Kemper for not much return. The burning of municipal household waste is not a good idea. The material still has to be handled and transported to the incinerator. A waste incinerator generating station was recently built and operates not far from where I live here in the UK. I did the calculation of costs associated with just the transportation to get the volumes of waste to the incinerator. Labour, truck depreciation, maintenance and fuel. The energy being produced if sold at domestic rates roughly £0.2/kWh here does not even cover the cost of shipping the waste to the plant! The pollution issues are handled via a stack that is the tallest feature in the county. I think it is designed to ensure surrounding communities share in the benefits of Green energy generation. It is widely used in Europe… but note that Europe has very strict standards on air quality, which I am unsure apply in the USA. That site has several links to other waste burning generators in the region. Nice example of what is possible, did not notice any details on the cost. With all due respect, this is ignorant. We have been spending more than the GDP of the top 15th economy in the world on R&D. I guess the assumption is that The Answer is out there; we can find it if we just spend more money. Wind and solar are at the point of diminishing returns. Time to look elsewhere. Or enjoy your coal. “And it [cheap, abundant, renewable power] would, of course, fix climate change.” Of course? Lomborg seems pretty level-headed except for the most important question of cause and effect. 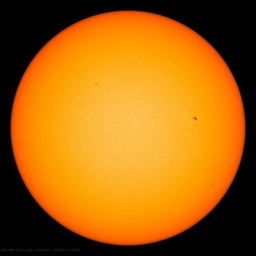 If the warming turns out to have been mostly or all natural, then nothing needed fixing, and all the misdirected effort could have been better spent. Gaining traction with an alarmist faction requires a call to action of their satisfaction. We are too kind to ‘green’ energy. Germany has shown, that massive (580 billion dollars by 2025 plus a loss of 500 billion dollars in electrical utility share price) ‘investment’ in green scams results in very, very expensive electrical power for almost no CO2 emission reduction, if the energy cost of the green scams, the reduction in grid efficiency, and the forced outsourcing of high energy products, is considered. The idiots are using phoney green game logic. Fake science to create CAGW and use fake engineering to justify ‘green’ stuff such as cutting down trees in Canada and creating wood pellets which are then burned in the UK when the total CO2 emission is higher than burning coal. Counting wood-burning power plants as having zero emissions, when in fact they emit more CO2 per megawatt-hour than coal plants, is the central scandal of the EU and UK approach to carbon accounting for biomass. “We’ve converted three of our six generators to run on wood pellets,” says Andy Koss, Drax Power’s CEO, while standing in the shadow of four new cathedral-sized storage domes built to store those wood pellets on the sprawling Drax grounds. “This single site produces 15 percent of the UK’s renewable electricity,” Koss says. Drax started transitioning its units off of coal and onto wood fuel because the UK government is putting tight restrictions on carbon emissions to help fight climate change. This year, the country announced its plan to cease burning coal for electricity entirely by 2025. And under EU law, biomass is classified as a source of carbon neutral energy. If burning wood is less efficient than coal in the amount of CO2 produced per megawatt generated, how does the government justify it as renewable and ‘green’, especially as the CO2 is produced in one fell swoop and the trees take up to 50 years to take up the amount of CO2 released? Back in 1972 John Holdren wrote a Sierra Club “Battlebook” entitled “Power: a crisis of energy” or maybe it was was “Energy: a crisis of power”, but in this book he predicted fusion power as a commercial reality in the 1990s and stated that there wasn’t enough wind power to worry about. Obama and Holden may have considered Holdren the smartest man on Earth, but he did rather poorly predicting just 18 years into the future. The problem with these sages is that few of them actually know how we use energy, how we use carbon feedstocks like coal and petroleum, and they live sheltered lives where the wind doesn’t blow and it doesn’t get very cold apparently. I like Lomborg, but I think he is delusional if he thinks we just need to throw more money at renewables. We threw a lot of money at geothermal energy in the 1970s and it was all wasted. We are about to engage in a second round of such spending on geothermal energy– a source with energy density of a watt per meter squared even in the best of locales. Solar and wind are about 200 watts per meter squared. No one is going to make wind turbines much more efficient no matter how much money is thrown their way because they are already near 80% of Betz limit, and are limited by the periods when wind is below 3m/s. Even if all vehicles moved by virtue of electricity or hydrogen produced with some “renewable” source, we would still need asphalt pavement and all sorts of petrochemicals. And we won’t be replacing diesel engines in many applications (construction, rail, ships, mining, over the road trucks) any time soon. The Easter Bunny and Tooth Fairy are real, but fake. Like Santa Claus, you never see them, but they must be there, they left evidence. Children catch on sooner or later. Adults, on the other hand, are happy to believe the stories they are told. Increased use of fossil fuels over the past two centuries also neatly corresponded to a decrease in child mortality from north of 500 per 1000 (yes, half of all children died before age five) to just 50 per 1000 worldwide and 1.6 per 1000 in Hong Kong. That rate had not budged for the 300,000 year history of homo sapiens, and yet magically with our mastery over energy from fossil fuels, it suddenly and dramatically dropped. Just try to tell me there is no causation with this correlation. We can now protect our children, where we could not before. The threat is not from CO2 but from the power hungry nincompoops who either blithely or deliberately are ignorant of the most basic elements of human history. It baffles me that you buy into the “climate crisis”. Do you know that CO2 is at historic lows? That CO2 is the source of C for all life? That the historical record does not implicate CO2 in warming? This tack will eventually be to the detriment of nuclear as it is false. Note that Patrick Moore strongly supports nuclear, much to the chagrin of his former comrades in the environmental movement. Harvesting low intensity energy sources has always been very expensive and always will be. I think Renewable is likely to get a huge boost within 5-10 years purely because PV/battery will soon be the cheapest option for home electricity for a large proportion of the western world’s population. -Investment returns and interest rates are historically low so investing in home PV rather than putting money in stocks actually starts to make financial sense – particularly in Europe where electricity is up to 2x as expensive as CONUS. -batteries are still too expensive; eg Tesla Powerwall costs ~$600/kWh, but that will come down by 3-4x soon as we know the batteries are now costing Tesla <$100/kWh and increasing competition from massively expanding electric car industry will drive their price down. Add to that electric cars provide a great solution for backup power when the weather is cloudy etc. Herðubreið diner sours near polar Björn gard.